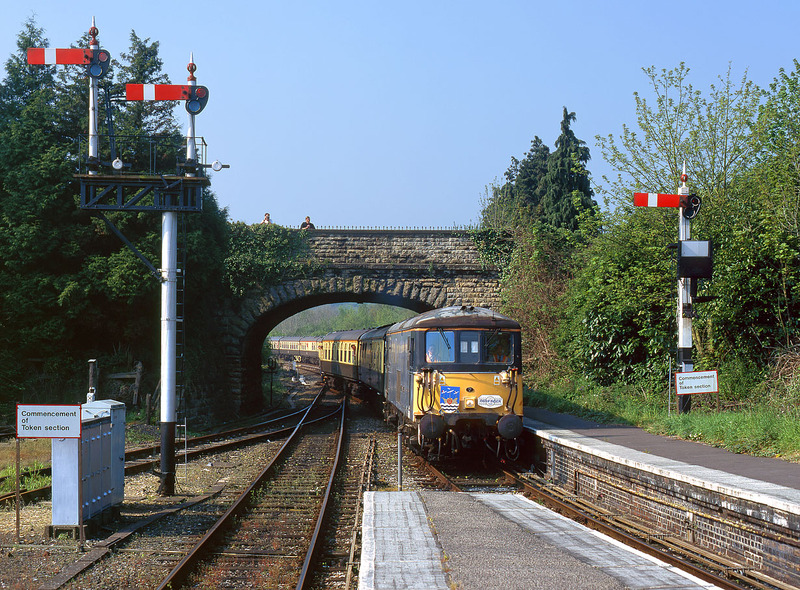 A superb set of GWR semaphore signals at Yeovil Pen Mill, pictured on 2 May 1999, including on the right, a wooden post starting signal with route indicator. 73106 arrives with the Pathfinder Tours 1Z93 09:43 Yeovil Junction to Weymouth Quay 'Wey-Farer' railtour. The train would reverse here, with 37250 & 73138 (just out of sight on the rear) taking over.